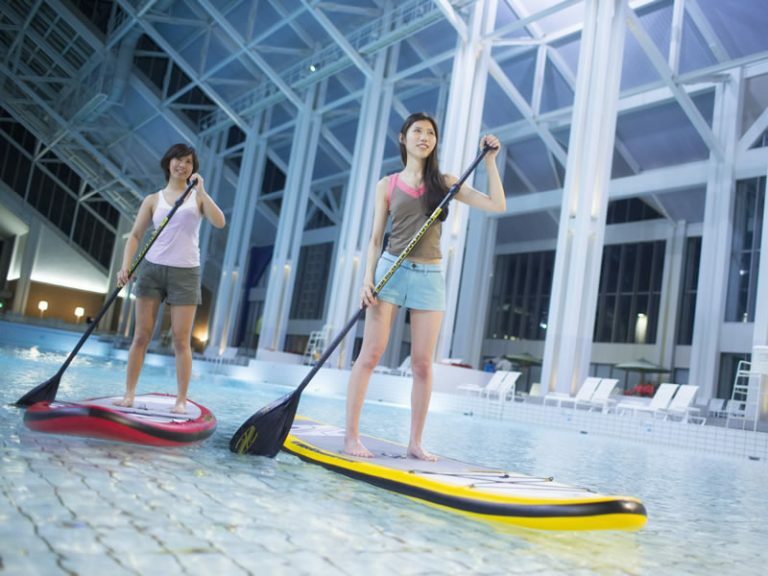 Enjoy the warm sunlight during the day and the soft light reflecting on the water during the night at the largest indoor beach in Japan. 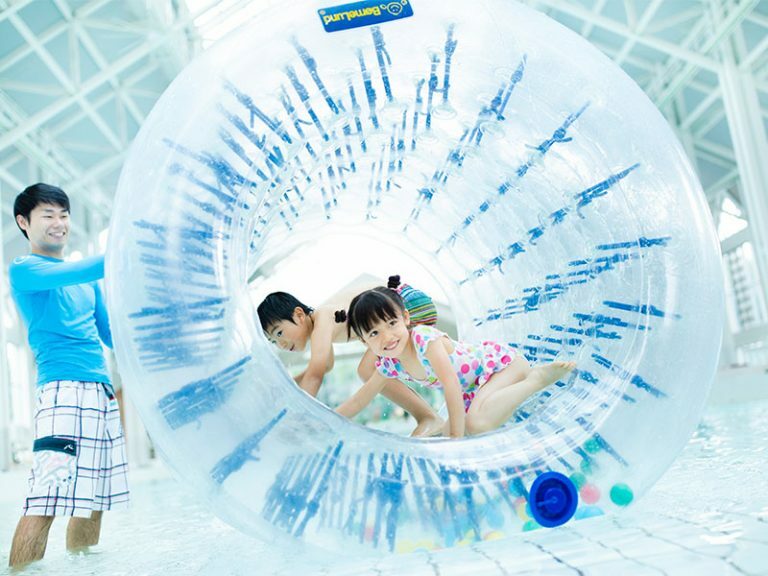 This everlasting summer water paradise Mina-Mina Beach makes your time at Tomamu even more appealing. "Mina" means "smile" in the Ainu language, and the name Mina-Mina is filled with the message of "a beach where the entire family is happy and smiling". Enjoy a memorable stay at this resort regardless of whether you are enjoying activities or spending some peaceful time in this relaxing environment. * Adjacent outdoor bath "Kirin-no Yu" can also be used. * For safety reasons, children ages 15 and under must be accompannied by an adult..
* Towels equipped. No need to bring them from your rooms. * You can re-enter as many times as you'd like during your stay. * Tatoos(including temporary stickers) are not allowed to be exposed here. Please put tatoo seals on them or wear a rash guard to cover them. 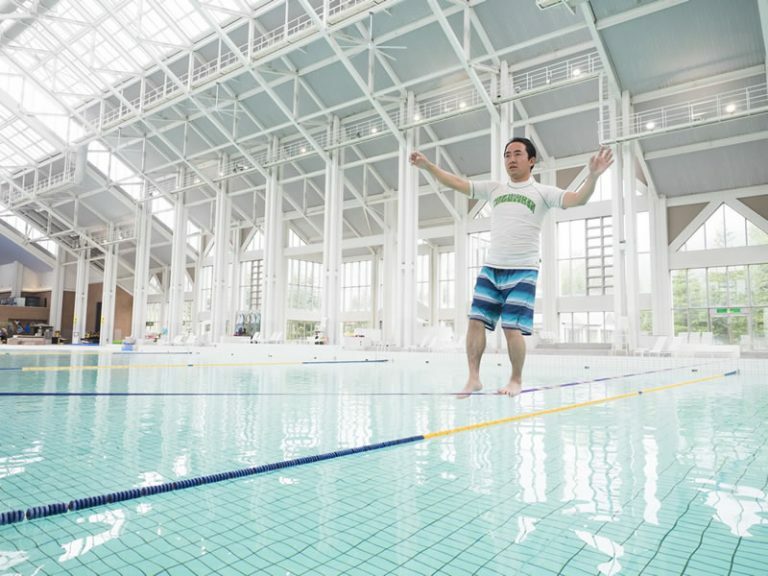 With a wave pool that is 80 m long and 30 m wide, this is an open area that anyone can enjoy.